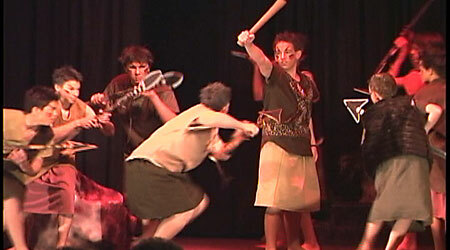 is a musical presentation designed for wards and stakes to perform. It was written to bless individuals and families by encouraging them to read and ponder the teachings in the Book of Mormon, and then apply its ancient wisdom and inspiration to modern challenges. 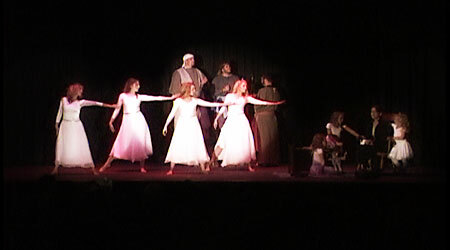 This musical was designed for wards and stakes to perform. If you would like more information on how you and your ward/stake can perform this presentation, please contact us. 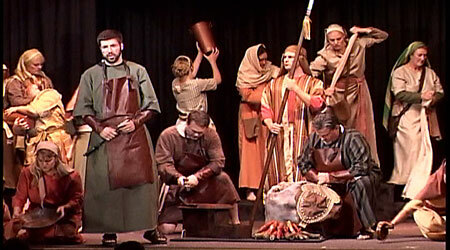 We hope you find this musical as spiritually uplifting as we do. 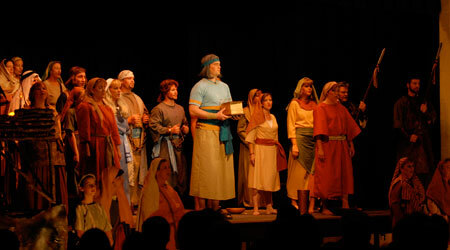 In vision, the prophet Mormon sees 5 latter-day characters who struggle with challenges to their faith. He selects various scriptures, from the plates at hand, to strengthen them. 1. 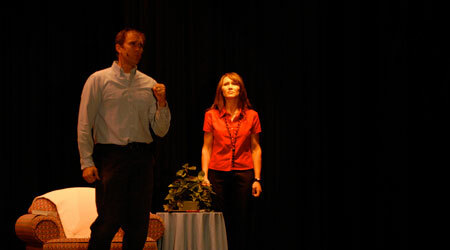 An older couple considers serving a mission. The husband is enthusiastic, but the wife isn’t sure she has the courage. She contemplates what it must have been like for Sariah to leave her home behind, forever. 2. Parents of a wayward child want the Lord to change their son by sending an angel. 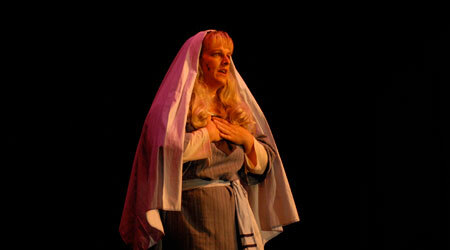 Lehi teaches them that seeing an angel does not always convert wayward children. 3. A young woman is tempted to dress immodestly and date a young man with lower standards. Her mother’s teachings, and Ammon’s experiences at the waters of Sebus, give her strength and courage to make the right choice in the end. 4. A brother, who has recently lost his job, experiences conflict when he is confronted with having to pay for damages to a luxury car. 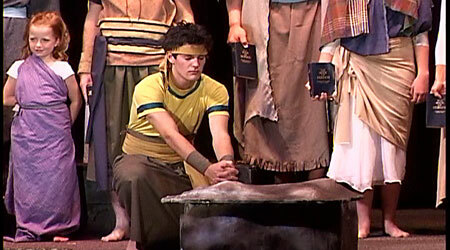 He remembers Nephi’s broken bow and asks the Lord, and his own father, to strengthen his faith. 5. A sister grieves for the loss of her child. Alma, Amulek, the women and children who were consumed in the fire, and some Relief Society sisters, bring comfort. [If you’d like to preview the complete script, please contact us]. 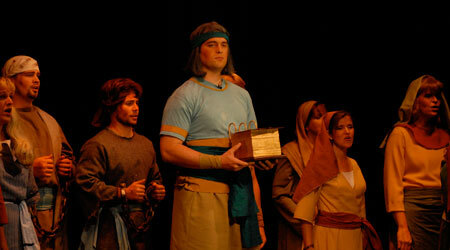 "This show changed the way that I read the Book of Mormon. Sariah, in particular, became real to me. I´ve thought many times about what it must have been like for her to leave her home."